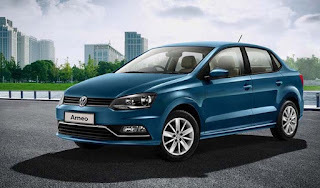 "If you want a car to make you feel good at the rear seat, you may opt for the Jetta. On the other hand, if you want a car that feels nimble to drive, sporty, luxurious and well equipped, the Skoda Octavia is the right pick." The Skoda Octavia and the Volkswagen Jetta are two German-engineered luxury premium sedans that are rivals to each other ever since their launch. We will be reviewing the diesel versions of both these cars. The Skoda Octavia 2.0 TDI Style Plus is the flagship variant of the diesel mill. Skoda puts a price tag of 27.1 lakhs (on road Delhi) on this model. Meanwhile the Volkswagen Jetta 2.0 TDI Highline being the top end variant, costs 24.7 lakhs (on road Delhi). This makes it 1.6 lakhs cheaper than the Skoda Octavia. Skoda has priced the Octavia very wisely and offers a hell lot of features in it. It is not only cheaper than its rival, but also well featured and better performing. 4 Airbags in common, ABS with EBD, Cruise Control, Paddle Shifters, Electrically adjustable leather seats (front), Front and Rear fog lamps, Rain sensing wiper, Alloy wheels, Touchscreen infotainment system with Bluetooth, USB and Aux, Xenon headlamps, Traction Control, Keyless entry and other basic features. Navigation System, Engine Start/Stop button, Smart card access entry, Rear spoiler, Sunroof, Moonroof, Integrated Antenna, Side Airbags (Rear), Tyre pressure monitor, Engine check warning and Rear camera. CD Changer and Power Antenna. The two luxury premium sedans are sure to offer a pleasant driving experience. Besides being a driver, it also feels really insulated if you are the passenger at the back reading emails or news feed. The diesel engines are quiet and does not let any of the atmospheric noise inside the cabin. This adds to the pleasure of driving and comfort of the passengers. Talking about the performance, both the cars have the same 2.0L turbocharged diesel mill under the hood. They are more like twins in all technical aspects, but they act different. There is very small difference in the horsepower that is, the Octavia has 141bhp and the Jetta has 138bhp. The torque is 320Nm for both. The 6-speed automatic transmission is super smooth and gives immense pleasure. You can also shift to the Sport mode wherein you can manually upshift and downshift. In Octavia, the upshifting and downshifting can also be done with the paddle shifters. Driving using the paddle shifters gives a sporty feel and glues your hands to the steering wheel. The transmission downshifts by itself, if you don't. Both the cars are capable of doing 200+kmph speeds with ease. But the cabin feels much insulated and calm in Octavia when cruising at high speeds. Obviously the Skoda Octavia offers a better mileage than the rival, both having the same engine though. Skoda has made some sort of dedication in winning the fuel efficiency. For a medium paced economical diver, the Octavia's mileage is a blessing. It runs 19.3kmpl in the highways and 17.1kmpl in the city, whereas Jetta runs 16.9 and 13.6 kms respectively. But if you are the one who always loves to floor the pedal, the blessing becomes a curse! The fuel cost for Octavia is roughly 40,000 rupees lesser than that of Jetta. This again adds a feather to Octavia's hat. It is also shocking how the same 2.0L diesel engine can make such a huge difference in fuel cost. Thanks to Skoda! The two German siblings possess top notch space and comfort. The Jetta's rear seats are wider and well cushioned. It feels like the seats hold you in place. 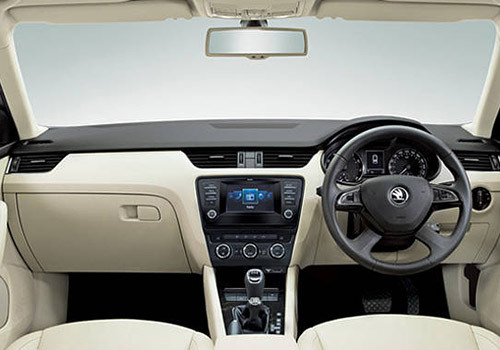 The rear AC vents are placed in such a way that the center passenger also gets comfortable legroom. Where the Jetta really scores is the ride quality which deals perfectly with the bumps on the road. Octavia's comfort is no short to Jetta but the ride gets noisy to the tiniest bit as the hollow boot space amplifies the noise from the suspension. The seats are equally comfortable and spacious even for tall passengers. The 12-way seat adjustment in the front is very interesting. It remembers the seat adjustments of three different drivers and adjusts accordingly by itself. You can stuff lots of luggage inside the Octavia which has 590 litres of boot space, 80 litres greater than Jetta's. 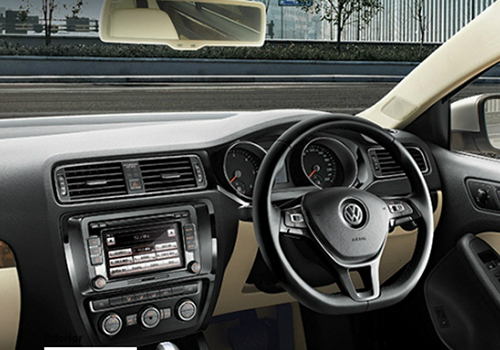 If you are more of a rear seat person, then the Jetta is surely going to impress you. It's got a better build quality than the Octavia. Chilling at the back is fun. But the McPherson Strut suspension in the Octavia transmits small amount of jerks to the cabin when on bumpy roads. These kind of jerks are comparitively less noticeable in the Jetta. Handling both these cars is a child's play. Even at triple digit speeds, the handling is amazing and the driver can feel very safe and confident. The traction control system in the Octavia performs great as it doesn't let the vehicle skid when cornering on slippery roads. The reliability of Skoda and Volkswagen is never appreciated by Indians. They are less trustworthy when compared to other manufacturers. But here, VW has a better network of service centers than Skoda. The cost of maintenance is painfully high for both. But if you don't mind spending extra pennies for luxury and performance, you are good to go for any of these two. No matter how less you have driven or how well you have maintained, your Skoda or Volkswagen can never be sold for more than hardly 8-9 lakhs. This is obviously very pathetic. Having bought a car for about 25 lakhs and selling it for less than half the price is absurd. It is very clear from the comparison that the Octavia is more fuel efficient, well performing and fully loaded with features than the Jetta. It is sad that the Jetta, being a perfect rival for the Octavia, does not possess certain features that are necessities for premium sedans. If you want a car to make you feel good at the rear seat, you may opt for the Jetta. On the other hand, if you want a car that feels nimble to drive, sporty, luxurious and well equipped, the Skoda Octavia is the right pick.